After I read Jane Austen’s Emma… I was keen to read something a bit more modern and gritty haha! 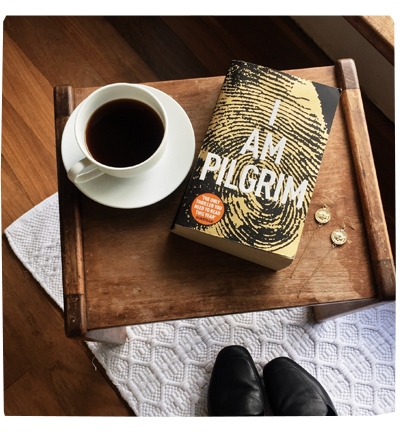 I found I Am Pilgrim by Terry Hayes at my local op shop for $2 and my first impression was: omg it’s soooo thick. I don’t really like crime/thriller books, but I gave it a go. I sped through it in 14 days! It was a excellent read – written so well, it zoomed by at a fast pace, just like a Hollywood blockbuster movie. It’s a crime story, twisting investigation, modern day terrorist, kind of book.